Happy Wednesday loves! I can't believe that in just two more days I will be in Key West again! Every year I get super excited for this trip and this year is no exception! I actually think I'm even more excited this year because we won't be driving down on the 4th this year, we're going with a new group of people AND it's going to give me my first 4 day weekend this year! I can't wait to recap my trip when we get back next week but for the time being I'm going to share some of my favorite 4th of July inspired looks! I tend to keep my 4th of July outfit more subtle but sometimes I love how into it other people get! If it wasn't ridiculously hot down here I would totally rock a cute sweater like this for the 4th. I love it paired with the destroyed denim and the off the shoulder adds a bit of sexiness to it without it being too over the top. This is another super adorable and casual look that's a little more patriotic than what I go for but it's definitely something I could see myself rocking! I actually almost bought this dress for the 4th last year! I tried it on and it was super cute but then I remembered we were spending the 4th out on a boat so I probably wouldn't get a chance to wear it. Love how Brie styled it though! This look is so classy and timeless! Way too dressy for Key West bu still a gorgeous look! Speaking of what I wore last year... just thought I'd throw my 4th of July outfit from last year on here! Loved the back of the bikini and threw on some red, white and blue bangles for an extra touch! Loving Kristina's look she posted the other day! Girl can seriously rock red! The striped shorts are so cute and love the bright red lip! I'll be posting what I wore on the 4th when I get back (a little backwards I know but I really wanted to take some pictures while I was in Key West). Hope everyone has a fantastic humpday! Happy 4th of July, Pamela! <3 Ada. I love love love that sweater! So cute!! Have an amazing time this weekend!!! Loving all of these looks, especially that white dress with the blue stars - so pretty! ahh so jealous - have the best time!! These are all such cute looks! Have fun in Key West, and have a happy Fourth of July. How fun is that flag sweater! Love all of these looks! Can't wait to see all of your Key West pictures! Hahaha love this!! Can't get over Rachel's outfit! That skirt is so cute and perfect for the fourth! Love that last pic of you too! I think the 4th is my favorite holiday to dress for. There is something about the stars and stripes and blue, white and red that just makes such a fun outfit that is a classic! Do you still have that dress that you got for last year? Where is it from? Finally someone coming to my neck of the woods. I live in Key West! I love all the 4th themed sweaters I have seen everywhere lately! If iit were cooler I would totally wear one! Oh my gosh, I LOVE that star t-shirt!! Off to stalk Hello Fashion to figure out where it is from!! All of these are wonderful inspiration. I especially love the last one! Love all these picks, lady! I've been searching for RWB stuff but man, my normal go tos don't have any cute stuff at all :(! That striped skirt is amazing! I LOVE your swimsuit from last year! The back is so pretty and the bangles tie it all together for 4th July! Key West is going to be a blast!! Love each look. So fab. Key West is going to be so fun. Fun in the sun!! Can't wait to hear all about it. I have no idea what we'll be doing or what I'll be wearing haha. I love that off the shoulder sweater, so cute. I know this post was about the outfits... which I love, but those balloons! So fun! Still love that back of that bathing suit so much! I hope you have a fabulous trip! The keys should be such a blast for the 4th! I am loving all this inspiration! I'm the same as you - my 4th will be spent mostly on a boat at the lake up North, so I won't have the opportunity to get too festive! I cannot get over how stinking adorable the stars dress + red heels are! Perfect looks for the 4th! I love these looks, especially the star t-shirt and the red and white striped skirt! Have a great trip! Have a WONDERFUL weekend celebrating and enjoying life! :) Love all your pics- I love the star tee, that's totally my style! really love that sweet, casual tee with the stars on it! Looks perfect for this hot weather we are having! Key West will be such a great place to celebrate the holiday – I can’t wait to hear about it! I love all (of course) but really love the stars t-shirt – such a classic look for an easy BBQ! Love the back of that bikini top you wore last year! And the red, white, and blue bangles were a perfect way to be patriotic but not over the top and to dress up a bikini! Love all of these great looks! So cute! 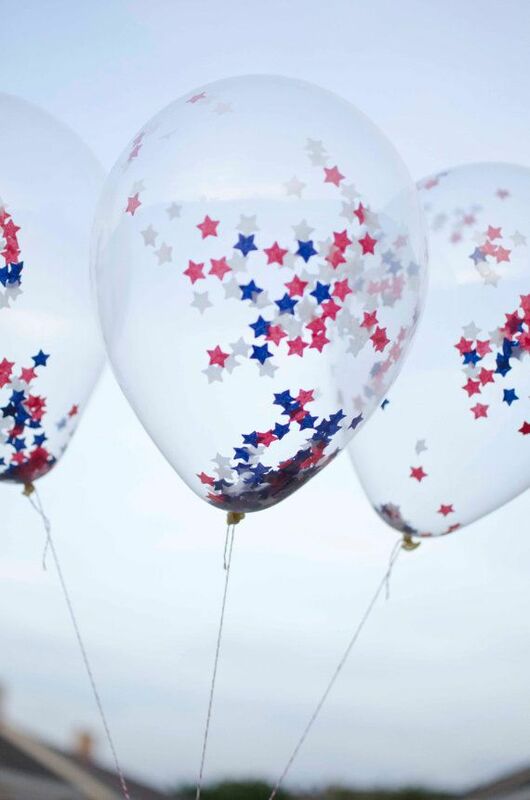 Love these so much-- I find myself wanting to wear red, white & blue all summer, so I'll be using these as inspiration even now that the 4th has passed! Hope you are enjoying a great trip! !